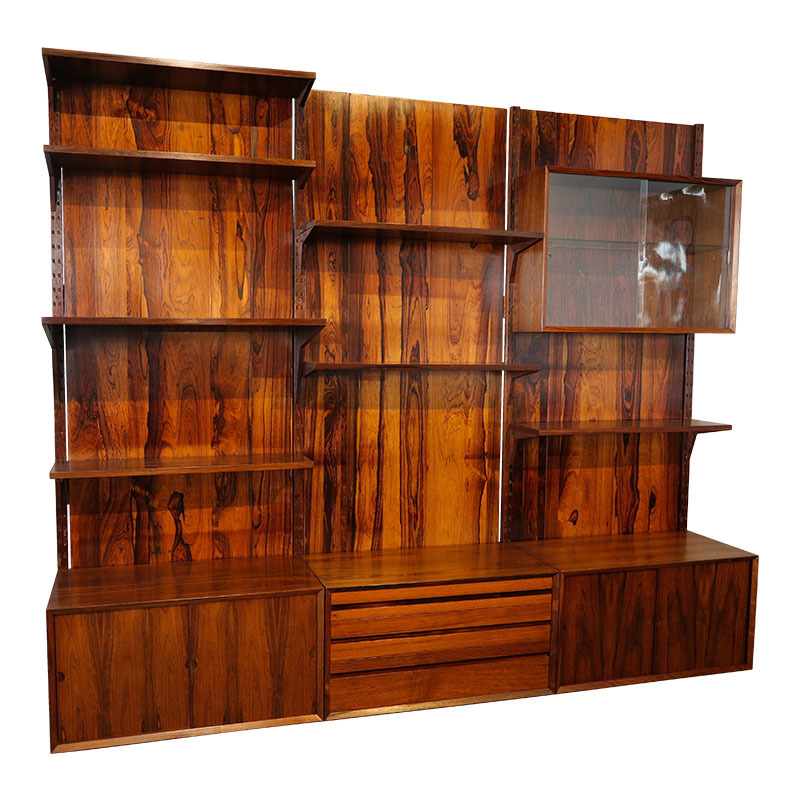 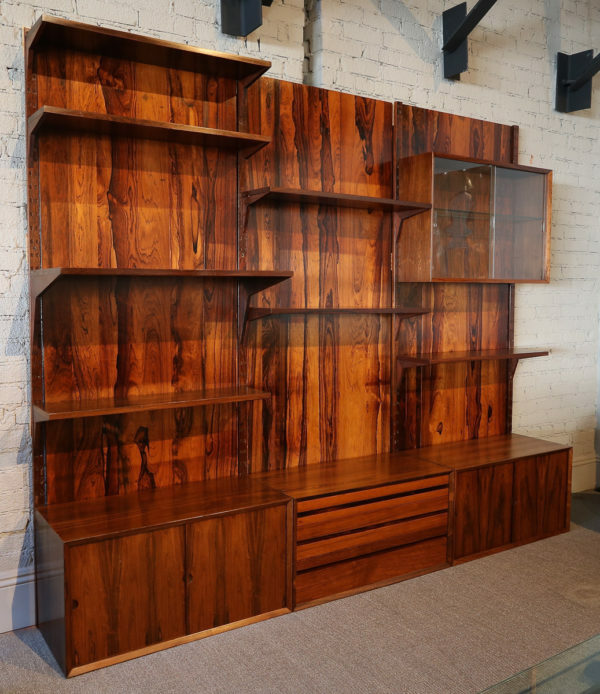 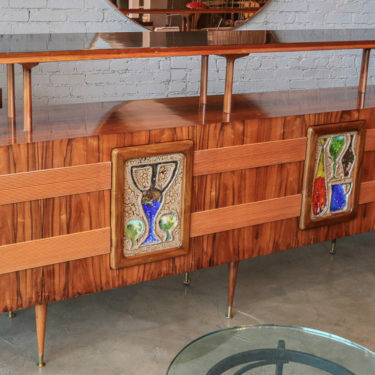 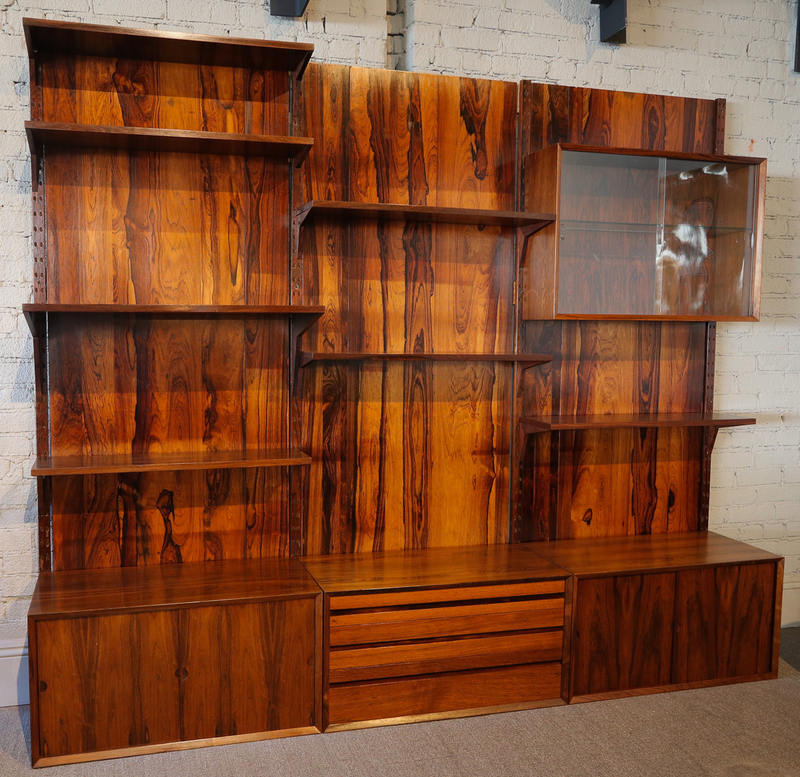 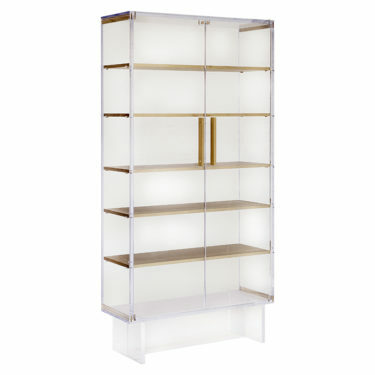 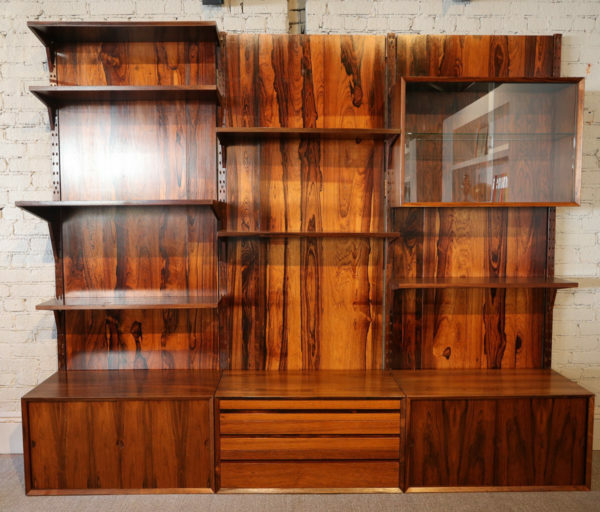 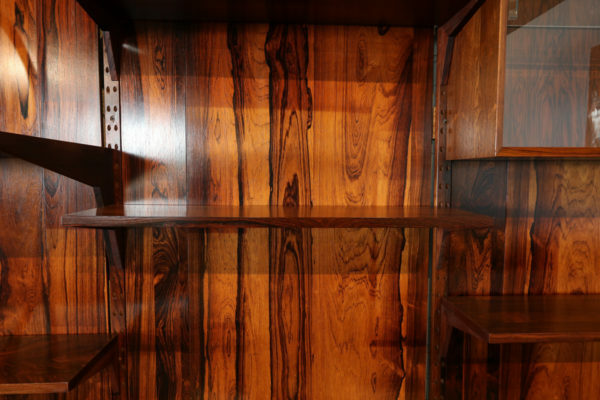 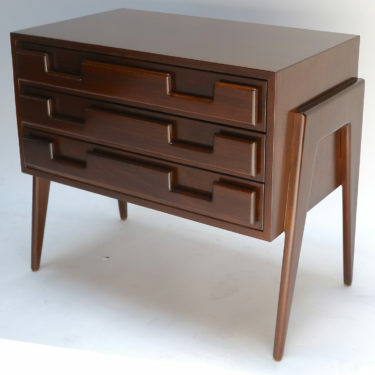 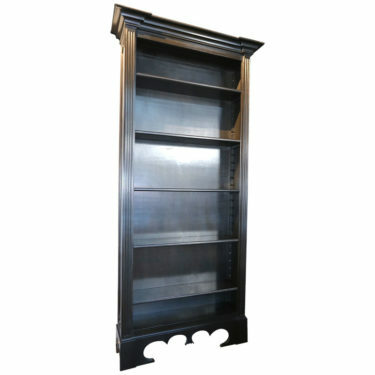 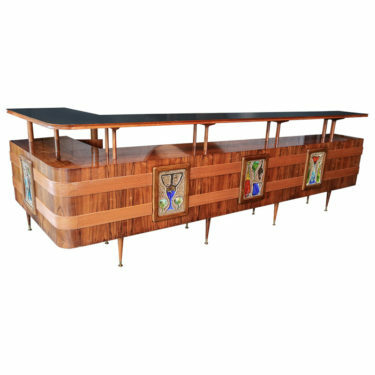 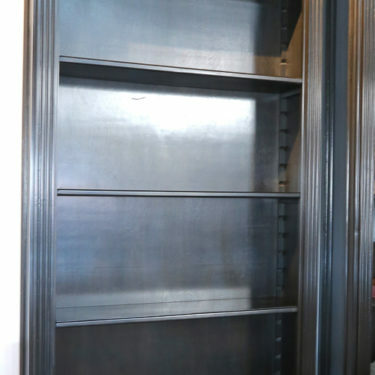 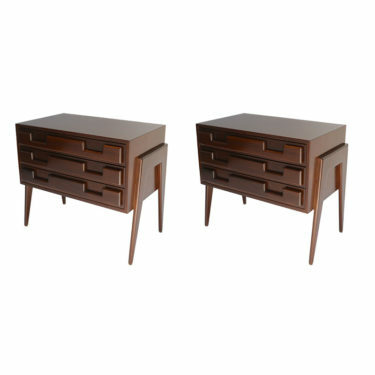 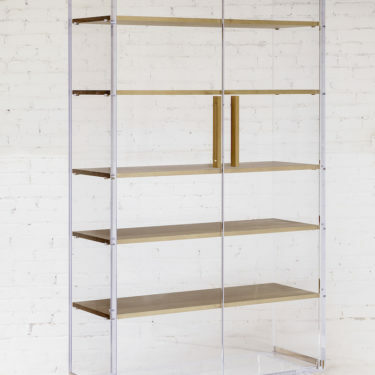 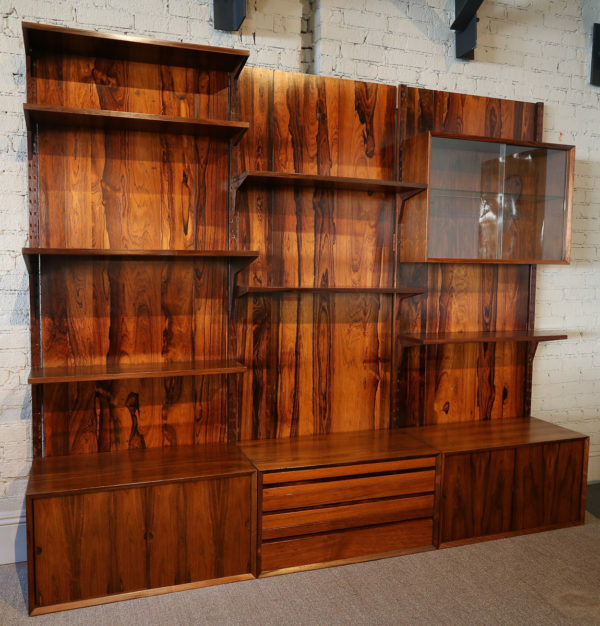 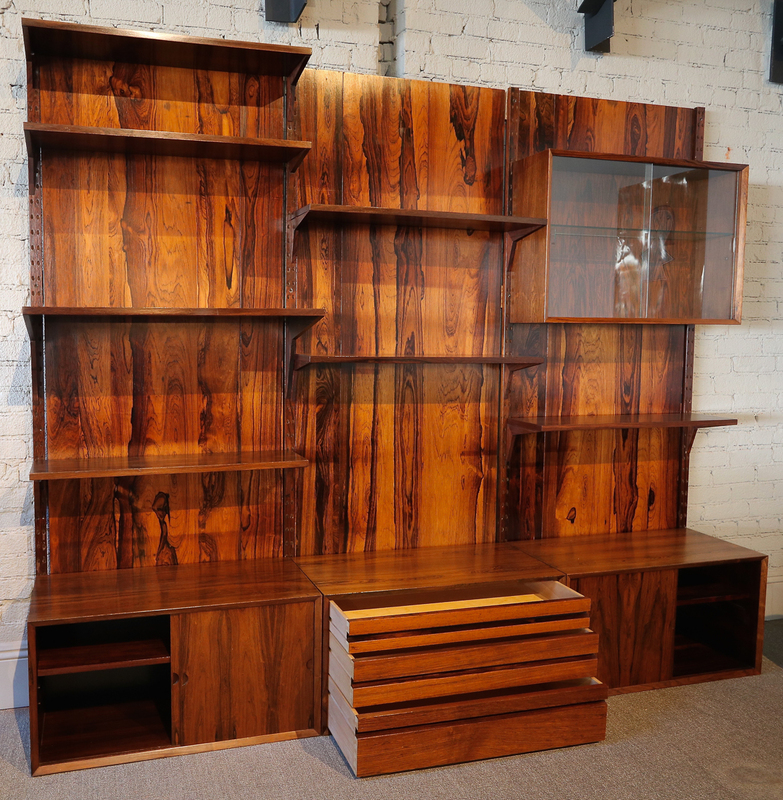 Brazilian jacaranda shelving unit from the 1960s with adjustable shelves and cabinets. Two hanging cabinets, one with glass doors, the other with jacaranda doors (not shown). 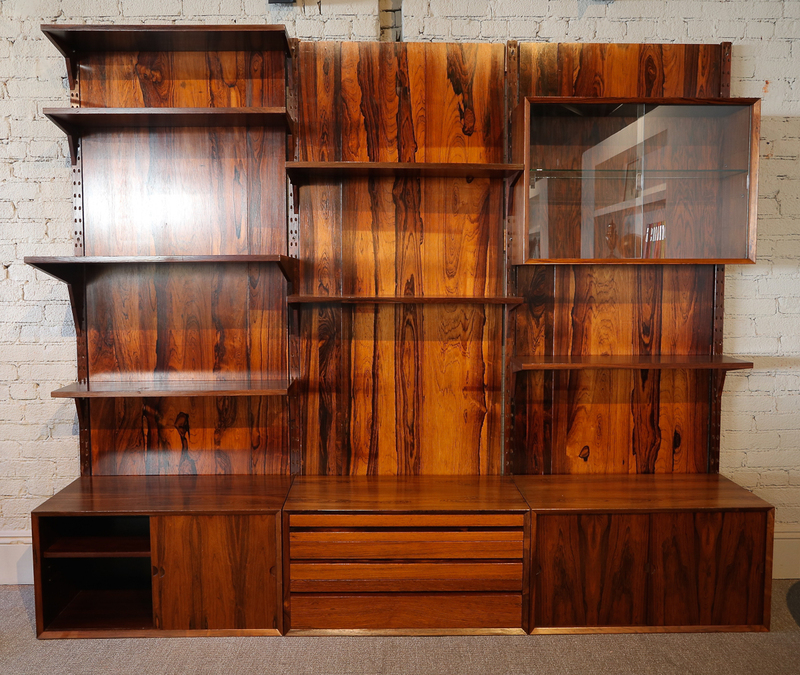 Three cabinets at bottom, two with one shelf, the other with drawers.